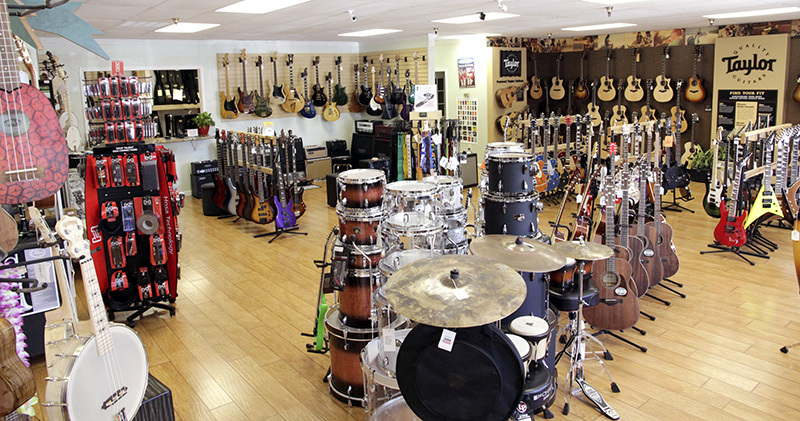 JAMS Music is your premier music store in the San Francisco East Bay. Now celebrating six years in business, we've got a wide selection of quality musical instruments, and accessories, and offer in-house lesson, repairs and rentals. John Kibildis opened the store in November 2012 as a small one-person shop with a small repair shop. Having extensive experience in retail but an education in City Planning & Urban Design, finding a job was tough after graduate school during the economic crash in 2008. After working at Macy's for a period of time, John started at another local music store and quickly realized his love and strength in retail. Since opening, we have undergone four expansions, assembled an awesome team of sales people, increased our student load from zero to nearly 600, and created a reputable and reliable repair shop. JAMS Music is actually short for John's Awesome Music Store. Based on customer feedback, they really do call us awesome! We carry over 30 major manufacturers to provide the quality instruments you expect as a consumer. We specialize in carrying a large section of MESA/Boogie, Taylor Guitar, Conn-Selmer, Ernie Ball Music Man and Kala Brand Ukulele products. We are proud dealers and supporters of MESA/Boogie and a two time recipient of a 'Spirit of Art in Technology "Award in 2016 and 2017. Whether you're a novice, enthusiast, or professional, you can feel good about shopping locally with us. Our Private Music Lessons are taught by 28 enthusiastic, qualified teachers to almost 600 students per week. Our quality band instrument rentals program provides an easy opportunity for students and parents to be exposed to the wonderful experience of school band. The full-service in-house Instrument Repair Shop provides a high level of professional service with quick turnaround times, honest evaluations, and reasonable rates. Brian Hart has over 15 years of experience and great attention to detail for fretted and orchestral string repair while Brass & Woodwind Technician, Ian Hart is fully equipped to service or basic play condition or full overhaul needs. Our commitment to our customers made JAMS Music the preferred repair shop for the Dublin, Pleasanton, Livermore, Castro Valley, and San Ramon school districts. It doesn’t matter if you’re playing an entry level or professional instrument, be a school in need of maintenance of your inventory, or just looking for repair advice. We’re here to help! We've got a friendly, knowledgeable staff that wants to help customers make the perfect purchase. It's about educating customers about quality and showing them the value of the products and our service. I've always wanted to be considered sophisticated, but not pretentious. We want people to come in and be comfortable as a new player, seasoned professional, parent, teacher, jazz head, metal head, and everything in-between. Our shop is clean, well-lit, and organized. We take pride in our visual merchandising and allowing our customers to touch and feel the inventory. There is color and positive energy all around, and our efforts are reflected by the quality of our customers. We have fun in-store clinics which range from manufacturer product demonstrations, to themed ukulele nights, guitar workshops, brass quintet performances, and student recitals. Plus, we give back to the community when possible by providing free on the spot instrument repairs at local high school marching band events, fundraising for disaster relief, and helping with school and other local causes. All of our efforts provide a unique, enjoyable shopping experience that keep customers returning and drive new customers into our store. As a full-service music store, we have customers of all types. We attract professionals, beginners, parents looking for instruments or lessons for the students, school teachers, ukulele groups, and more. On average, we see most of our students and their parents on a recurring basis. We also see a number of people shopping for ukuleles. 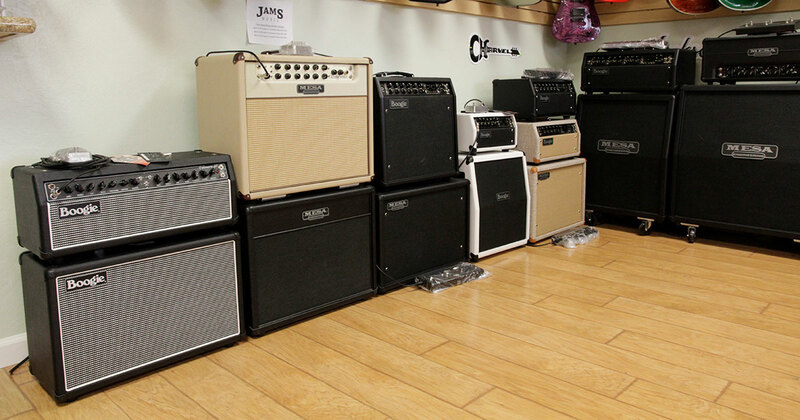 But, our depth of inventory from MESA/Boogie, Taylor Guitars, Ernie Ball Music Man, ESP Guitars, Yamaha, Roland, Ibanez and more, is the real attraction. People walk in and say, "Wow! You have just as much in here as the big box store!". Over the years, we've serviced famous clientele including, a Heisman Trophy Winning cornerback for the Oakland Raiders, Oakland Athletics and San Jose Shark players, Grammy nominated recording artists, actors and at least one famous actor/comedian with a current sitcom on FOX who is a regular customer. Next Post A Sharp Music Co.